Poet, publisher, and photographer Jonathan Chamberlain Williams, founder of The Jargon Society press, one of the most renowned small presses of the last half of the twentieth century, and champion and publisher of some of the most important mid and late century poets in the United States and England, died on March 16, 2008 in Highlands, North Carolina. The cause is not known at this time. Williams, 79, began his avant-garde press while a student at the Chicago Institute of Design, naming it "Jargon" not only for its meaning of personal idiom, but after the French spring pear, "jargonelle" and the French "jargon," meaning the twittering of birds. The only child of the late Thomas Benjamin and Georgette (Chamberlain) Williams, Williams was born on March 8, 1929 in Asheville, North Carolina, grew up in the District of Columbia and spent summers at the family’s North Carolina mountain home. His father, who designed office systems for government contracts in Washington, grew up in Hendersonville, North Carolina; his mother, a gifted decorator, was the daughter of a successful banker in Atlanta, growing up there and on the ancestral farm near Cartersville, Georgia. Williams' interests and talents, revealed him as a Renaissance man – publisher; poet and satirist; book designer; editor; photographer; legendary correspondent; literary, art, and photography critic and collector; early collector and proselytizer of visionary folk art; cultural anthropologist; curmudgeon; happy gardener; resolute walker; and keen and adroit raconteur and gourmand. Williams' refined decorum and speech, and sartorial style, contrasted sharply, yet pleasingly, with his delight in the bawdy, his incisive humor, and his confidently experimental and inventive poems and prose. His interests, in his own words, raised, "the common to grace," while paying "close attention to the earthy." At the forefront of the avant-garde, and yet possessing a deep appreciation of the traditional, Williams celebrated, rescued, and preserved, as he described it, "more and more away from the High Art of the city" settling "for what I could unearth and respect in the tall grass." 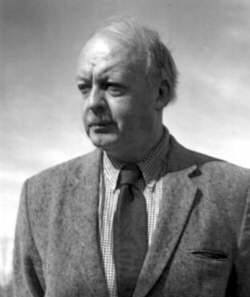 Despite numerous awards and honorary degrees including a Guggenheim, numerous National Endowment Fellowships, and a Longview Foundation Grant, Williams was never sufficiently acknowledged for his achievements as a poet or prose stylist by the writing establishment, nor for his press's generosity toward artists from all walks of life. His southern Appalachian origins created in him a deep sympathy for the underdog, for society's throwaways, and for the unbridled creativity of the outsider. He unapologetically celebrated his gay identity long before it was fashionable. By the Reagan years he began to object even more vigorously to the failure of American democracy and education. Williams' concerns about threats to the natural world; the loss of a humane and well-mannered society; and his distaste for hypocrisy in government, religion and the arts; made for vivid poetry, prose, and conversation, and informed his choices as a publisher. Known for his irascibility and opinions, he once stated (quoting Henry Miller paraphrasing Celine), "one of the things Jargon is devoted to is an attack on urban culture. We piss on it all from a considerable height." Nevertheless, acclaim came despite the poetry world's general indifference. Buckminster Fuller once called Williams "our Johnny Appleseed," Guy Davenport described him as a "kind of polytechnic institute," while Hugh Kenner hailed Jargon as "the Custodian of Snowflakes" and Williams as "the truffle-hound of American poetry." Williams held a number of poet-in-residencies early in his career. The Maryland Institute College of the Arts honored him in 1969 with a Doctor of Humane Letters, and in 1974 he received the "Honorable Order of Kentucky Colonels" for services to the arts in Kentucky. Publishers Weekly awarded the press its Carey-Thomas Citation for creative small-press publishing in 1977; in the same year Williams received the North Carolina Award in Fine Arts. Williams joined a handful of other poets to read at the Carter Administration's White House Poetry Day event in 1980. In 1998 Williams was inducted into the North Carolina Literary Hall of Fame. Distinguished Houghton Mifflin Editor Peter Davison stated in 1990, "a sensible society would set up a permanent outsize subsidy for...Williams and let him go to whatever his hand fell upon...Jargon is still searching out astonishments; it is one of the irreplaceable American small-press institutions." Williams began his education at Washington's Cathedral School at St. Albans, entering Princeton in 1947 where he soon found the academic track stifling. He wrote in a 1984 self-interview, "I clearly did not want to become a Byzantinist in the basement of The Morgan Library; or an art critic for The New Yorker; nor did I want to live in the world of competitive business." Escape, much to his parents' dismay, was inevitable and leaving Princeton in his sophomore year he studied painting at the Washington's Phillips Gallery with Karl Knaths, later joining Bill Hayter's Atelier 17 in Greenwich Village to study etching, engraving, and printmaking. Williams' interest in photography and bookmaking led him eventually to the Chicago Institute of Design. Here, again, Jonathan found the commercial focus too confining, and his interest in photography deepened. Photographer Harry Callahan, a professor at the school, unable to allow a lower-classman into his seminars, suggested that Williams go to Black Mountain College in the summer of 1951 to study with him and Aaron Siskind. Before leaving for Black Mountain, Williams set off for California to meet with Kenneth Rexroth, Henry Miller, and Kenneth Patchen, all with whom he had been corresponding. Their enthusiasms for the enhancement of words through visual dimensions, and Black Mountain's principles of learning by doing and the tactile importance of art, were to play an important role in the development of Williams' aesthetic principles as a poet, photographer, publisher, collector, and critic. Jargon and Williams came to life at Black Mountain where Williams, under the tutelage of rector poet Charles Olson, began writing more of his own poetry. Olson hired his talented student to be the college publisher. Ultimately Jargon, along with New Directions, Grove, and City Lights became one of the four most famous small presses of a burgeoning 1960s movement that continues not only on the printed page, but today, even on the Internet. Jargon's books, in particular, became collectibles, setting the standard for the small press, and were widely praised for their meticulous beauty and refined craft, and for Williams' ability to discover new and important talent. In the late 1950s, the 1960s and 1970s Williams was known for filling his Volkswagen Beetle with books and traversing the country, selling books out of the back seat, giving readings, and spreading the word about the many writers and artists he had come to know. Writers and artists, nurtured by Jargon, number in the hundreds. Many of their careers began or blossomed under Williams' and Jargon's patronship, including American authors James Broughton, Robert Creeley, Guy Davenport, Robert Duncan, Russell Edson, Buckminster Fuller, Ronald Johnson, Denise Levertov, Mina Loy, Paul Metcalf, Lorine Niedecker, Charles Olson, Joel Oppenheimer, and Louis Zukofsky; photographers Lyle Bongé, Elizabeth Matheson, John Menapace, Mark Steinmetz, and Doris Ullman; British poets Basil Bunting, Thomas A. Clark, Simon Cutts, and Ian Hamilton Finlay; and bookmakers Jonathan Greene, Doyle Moore, and Keith Smith. Some of the artists and photographers who contributed visually to Jargon designs include Harry Callahan, John Furnival, David Hockney, R. B. Kitaj, James McGarrell, Ralph Eugene Meatyard, Guy Mendes, Robert Rauschenberg, and Art Sinsabaugh. Thornton Dial, St. EOM, Georgia Blizzard, Howard Finster, Annie Hooper, and James Harold Jennings, are just a few of the visionary folk artists whom Williams began to champion in the 1980s, and whose work is represented in his outstanding personal collection of outsider art, in his essays about visionary art, and his yet unpublished monograph Walks to the Paradise Garden. One Jargon title, Ernie Matthew Mickler's White Trash Cooking, took America by storm appearing on the New York Times bestseller list, with major interviews and reviews in the national media, standing alone as the book which temporarily made Jargon a household name. The Jargon Society archives, containing personal papers as well as press materials, rest at the Poetry/Rare Books Collection‒SUNY at Buffalo. Williams' correspondents were legion. In his letters, no less than in his poetry and essays, Williams—who was known to write under various noms de plume such as Lord Stodge, Big Enis, Colonel Williams, and Lord Nose—held court, preaching the art gospel with his usual flair. He was fond of quoting Robert Duncan, "Responsibility is to keep the ability to respond." Yale University recently purchased Williams' personal photographic archive, including his uncommon portraits of poets, painters, writers, and artists - major works documenting Black Mountain College and Williams' peripatetic wanderings across America and Europe. His letters, negatives, and photographic prints alone will provide bountiful insight into 20th century culture, history, sensibility, and community. Celebrated as a Black Mountain Poet, Williams' work argues the primary importance of imagination as a foil to ignorance, and pinpoints ignorance (whether in the arts, civic or personal realms) as the source of cultural blight. As a poet he has been described as a cross between Martial, Socrates, Basho, Tu Fu, and Richard Pryor. Experimental and open in form, the symbiotic relationship between music and poetic composition and the possibilities of beauty found in the high and low, the ribald and the erudite, the metaphysical and the concrete, set his writing apart as audaciously original. Oftentimes expressed through word-play, found poems, paeans to pastoral significance, and rails against contemporary despoliation, the poems and essays draw on a wide range of subjects and themes including politics; jokes; local speech and customs; classical music and jazz; and visionary, photographic, and abstract art. In them Mahler, Bruckner, Delius, Ives, Satie, Samuel Palmer, and William Blake commune with Mae West, Jelly Roll Morton, Thelonius Monk, Frederick Sommer, and Richard Diebenkorn. Articulated through an unconventional synesthetic panache, commanding musical economy, and vinegary wit, they demand attention to, rather than carelessness toward, ecological guardianship of the arts, nature, and local traditions. His works of local speech equally capture the unpretentious nuances of country vernacular and the refinement of the “aristocracy,” as well as the sometimes dumb misapprehensions of each. Williams' over one hundred works, published by many of the most important small presses in this country and Britain, exemplified his playful blend of polish and earthiness, and revealed his massive and impressive circle of friends. Williams seems to have known practically everyone of consequence in early and mid-twentieth century American alternative arts. An Ear In Bartram's Tree (1969, University of North Carolina) and Blues & Roots/Rue & Bluets (1971, Grossman; 1985, Duke University) demonstrate his sensitivity to the nuances of language and the simple charms of Appalachian and White Trash culture. Quote, Unquote (1989, Ten Speed Press) was one of many editions of Williams' astonishing accumulations of revelatory quotations discovered in his wide reading. A Palpable Elysium: Portraits of Genius and Solitude (2002, David Godine) offers a select view of Williams' photographs of unique people and places accompanied by pithy, revealing mini-essays. The Magpie’s Bagpipe (1982, North Point) and Blackbird Dust (2000, Turtle Point) collect spicy essays on artists and culture. Jubilant Thicket: New and Selected Poems (2005, Copper Canyon) contains a selection of over 1000 of Williams' poems. I was a johnny-come-lately to the work of jonathan williams. I was living in Germany, when I discovered Guy Davenport's The Geography of Imagination. I read his essay on Williams and was very soon buying up as many jargon press books as I could find. I consider the man one of the greatest visionary folk poet and photographer essayist in America. And the least lauded. I hope to see Walks to Paradise Garden published soon as a tribute to this great American artist. This is a lovely reminiscence of a lovely spirit. I look forward to hunting out copies of books he published for many years. His stewardship and taste will never steer a reader wrong. I am trying to locate Tom Meyer, for a book I am writing. I cannot find an email address for him.